JK Tyres has a strong Employee friendly working culture laid on a foundation of “4P”. People > Pioneering Technology > Product Innovation > Performance. The organization is setting new standards for itself to be amongst the best in the class globally. Here, Employees are given free hand in exploring and taking futuristic decisions which ultimately leads to the growth of the Business In turn, employee confidence and maturity grows manifolds. It also gives employees a sense of belongingness and they feel proud to be a part of “JK Family”. So far, 15 years of my journey with JK Tyres is phenomenal, have got opportunities in working in 4 different plants and Projects. Was a key member in setting up of the state of the Art Tyre Plant at Chennai. All these has polished my Leadership Qualities and confidence in pushing the Business Goals to the next horizon. The Company believes in doing business with a difference with full focus on Sustainability and Going Green on Environment / Energy fronts. Developing people and Nurturing leadership is “way of life” @ JK Tyres. To conclude, JK Tyres is a “Great Place to Work”. I had often heard this maxim but only realized how true it was only after I joined JK Tyre. JK Tyre is a company that has a strong industrial foundation, brand value, capability to handle tough times and also been a pioneer in the industry. The company offers its employees innumerable opportunities and challenges to excel and grow in their career. The most important core value which JKTIL cherishes is ‘Caring for People’. To site an example of “Caring for People” – when JK setup their first tyre manufacturing plant in a small town namely Kankroli in Rajasthan, they created people infrastructure such as Residential Complex, School, Medical and Recreational facilities together with setting up the plant and machinery. 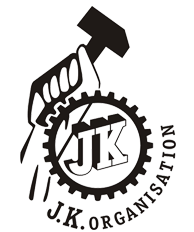 JK Tyre is a very people friendly and oriented to learning and development of its people. In terms of the HR department, JK Tyre has been ahead of the curve and has always implemented new HR interventions and is a very process driven organization. The top management here sincerely believes in developing leadership and is committed to achieve business excellence through people development. The kind of faith and trust I get from my team and superiors excites me to perform better and put in my best efforts.